How would you like to be the first person on your block to have the Samsung Galaxy S9 wallpaper on your phone? Thanks to tipster extraordinaire Evan Blass, this is not a pipe dream. Blass had posted a tweet earlier this afternoon containing the wallpaper that was seen on the renders he sent out the other day. The images, showing Sammy's 2018 flagship models, are our best look yet of the two handsets that will be unveiled on February 25th in Barcelona. The Galaxy S9 will come with a 5.8-inch Super AMOLED display with a resolution of 1440 x 2960 and an aspect ratio of 18.5:9. Under the hood you will find the Snapdragon 845 mobile platform with an octa-core CPU running at 2.8GHz, and the Adreno 630 GPU. 4GB of RAM is inside along with 64GB of native storage. The 12MP camera on back has an adjustable aperture that can be changed from f/1.5 to f/2.4, and it features OIS. An 8MP selfie snapper can be found in front and a 3000mAh battery keeps the lights on. Android 8.0 is pre-installed. The only difference between the Galaxy S9 and Galaxy S9+ is the latter's larger 6.2-inch screen, the dual camera setup on back with two 12MP cameras, and a larger 3500mAh battery. 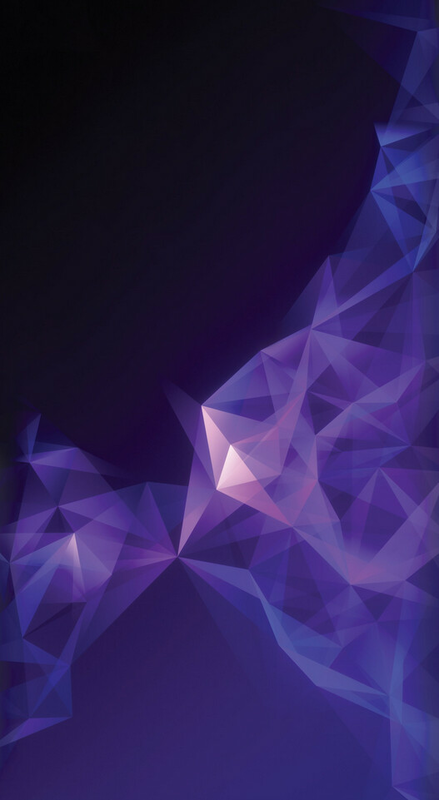 To grab the Galaxy S9 wallpaper in the proper size, click on this link. Once you install this on your Galaxy S8, you can trick your friends and family into believing that you have this year's model. Just don't let them see the back of the phone since the 2018 flagships do have a different layout in the back. Im definatly NOT excited about the Galaxy S9. Just got a Google Pixel 2 XL and an iPhone X for work and i'm happeier than a bear at a picnic. Best of both worlds. Those are my top two phone as well. I’m loving the x but if I go back to android it would be a pixel for sure. Yeah the pixel is amazing. This wallpaper is wider than S8 stock wallpapers, at 1626 pixels. Looks like S9 might have wider display.